Here at Poetry Teatime, we love hearing your stories about writing and reading poetry with your family. 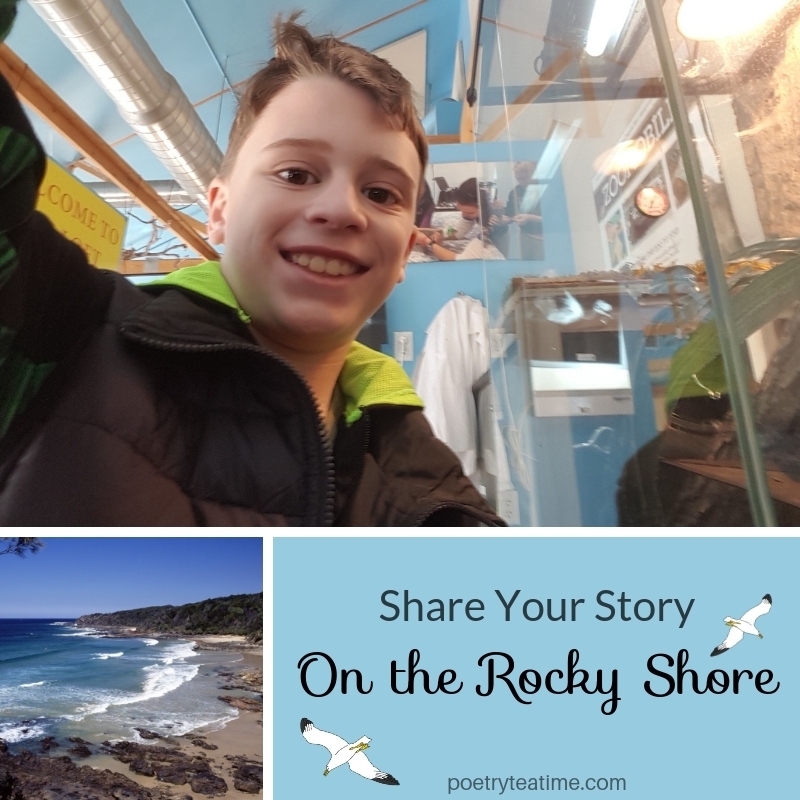 Today's story features a freewrite by a brand new ten-year-old poet with an eye for capturing a gorgeous landscape! This is the first poem Nathan has ever written. His free write began at the computer where he started banging on the keys like a toddler on a piano. That was followed by a few minutes of the roblox death sound, oof, over and over. Imagine my surprise to find the beginning of this beautiful poem when the timer went off! I'm so grateful to Brave Writer for giving us the time and space to develop his writer's voice at his own pace, in his own way. Now, without further ado, here is the poem! the sand squishes between the toes. The rocky shore is peaceful, and quiet. like green fingers trying to escape the frothy sea. Here are a few things we love about Nathan's poem. The comparison between seaweed and green fingers is unexpected, vivid, and slightly creepy! The detail of white chalky powder that Nathan noticed makes the textures, images, and even the smell of the scene come to life. 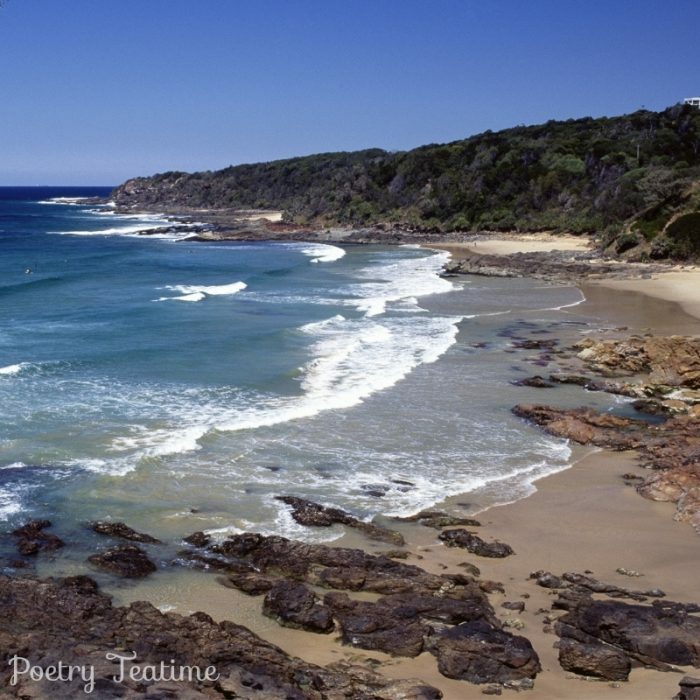 The repetition of the phrase "on the rocky shore" adds rhythm and a wonderful sound to the poem. What do you love about Nathan's poem? Let us know! We love hearing your stories! If you'd like to submit your own, you can do so here through our submission form.